Who could resist these cute faces? 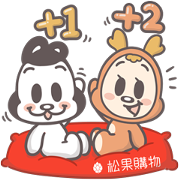 Pcone’s new sticker set with the ever-popular MYDEERDOG is now available on LINE. Friend Pcone’s official account to get the set for free. Be careful! These cuties will take over your chats with their adorable little faces! Download Little Popcorn’s new stickers to get you feeling happy and fresh! Friend Pcone’s official account to get them for free. 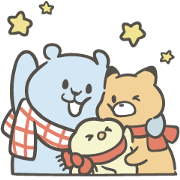 Pcone’s new sticker set is now available on LINE. Lemon & Sugar will bring you happiness whenever and wherever you use them! Friend Pcone’s official account to get the set for free.